The Ultimate Guide to Starting a Professional, Self-Hosted Blog with WordPress. Starting a blog doesn’t need to be difficult and in fact you can have your blog up, running and ready to go in just fifteen minutes. It doesn’t take much technical know-how to get started and once you’re up and running you can make any tweaks you need to get the exact look and feel you want. Here are five simple steps for getting your blog started. For some reasons, there is a perception that setting up a self-hosted WordPress blog is a complictated process! Those people couldn’t be more wrong! The truth is, you can do it yourself, and you can do it under 15 minutes! Ready for a challenge? Here is a step- by- step guide to how to start a WordPress blog or a site. Good luck! In case of any problems, leave your comments below! Your Domain Name is like the street address of your blog. It is your blog’s URL and it is key to being found. It gives your blog an identity and to get your own domain name you need to register your chosen domain with one of the many registrars out there. Your domain name should incorporate the name of your blog if possible and be as similar as it can be to the name of your site so it’s easy for future users to access and find. I strongly recommend you reading my blog post about how to choose a domain name before buying it. I choose GoDaddy as a preferred domain name registrant. They have a very well-organized dashboard to manage your domains and they are one of the most popular domain companies out there (I wouldn’t use their hosting as had a bad experience in the past, but they domain management is pretty good). Then go to the cart to purchase it. You will be given many weird options across next pages- just omit everything unless you want to choose a private registration. 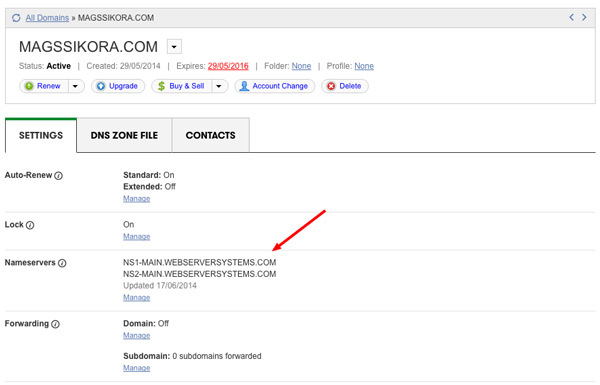 After domain registration, your name, address, email address and phone number are automatically published for the world to see. You can protect yourself from spam and scams with Privacy Protection, which you can purchase for a few quit (I usually use Public registration), but the choice is yours. Now, let’s learn about the hosting. Hosting is a service of storing, serving, and maintaining files for one or more web sites. If you want anyone on the Internet to be able to view your website at any time, you need to make sure your website is running on a computer which is connected to the Internet 24 hours per day, 7 days per week (24/7). This is literally what hosting companies offer you. Their connection is much faster than yours at home and more reliable. When you start a blog there are two options. You can choose to host it on a web-based platform like WordPress.com or Blogger. It means that those companies store your files. Or you can do the sensible thing if you’re hoping to use your blog as a business and run it from day one on a self-hosted platform- this means you need to buy a web hosting service and have your own account. This is pretty straightforward; however there are many companies out there, some of them not having a good reputation. Before choosing your hosting provider, do your research well. To help you, I have written How to choose a reliable hosting post. I think it is definitely worth reading at this stage of your journey. 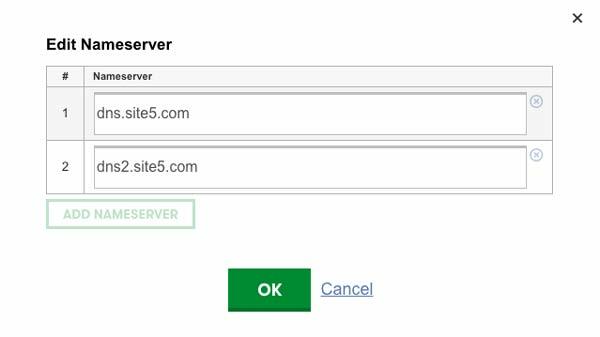 I use Site5, it is a less-known hosting company, but they’ve been amazing from they one since I started working with them (they migrated my entire website from other hosting for free!). 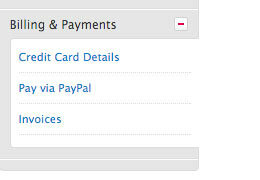 Now, SheKnowsDigital and many other sites I own are run with them. Let’s set up this hosting then. Go to site5.com and choose one of the 3 hosting plans presented- usually if you just start your blogging adventure, the cheapest option is the most suitable). 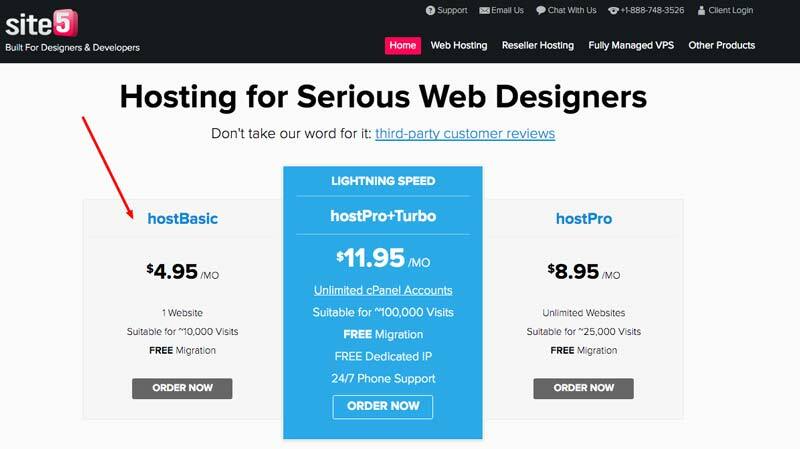 The hosting cost just 4.95 USD/ month! Then choose your hosting location. If your primary audience in based in Australia, then choose that location (further distance may influence negatively your websites load speed especially in case of images). Since my audience are soloprenuers that are based worldwide, my servers are located in London, UK. 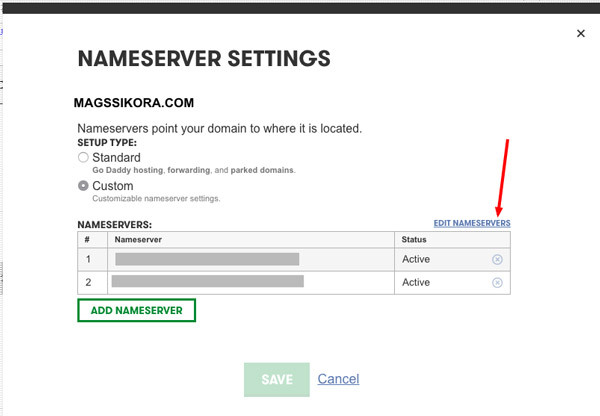 After selecting sever location, choose your hosting plan length (I usually pay monthly) and click next. Now, go to your inbox. You should receive an email titled: Your Site5 Backstage Login Info. Open it and go to: https://backstage.site5.com and login to your account. In order to use the hosting, you will need to set up two security questions- do it now, it will be very helpful when you need to contact their support team. Choose your domain and here is your cPanel hosting (the main dashboard). You did it! The most difficult part is all behind you! You should be proud of yourself! Now, it’s time to tell GoDaddy that you have your own hosting for the domain! 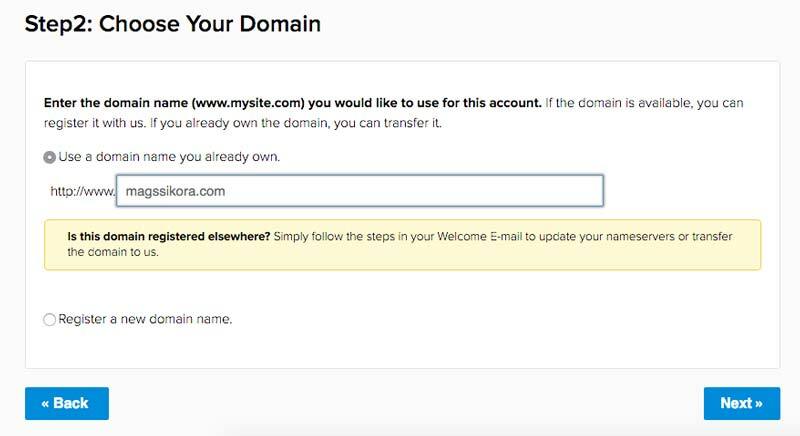 Many hosting providers will let you register your domain with them but this isn’t always possible so if you have registered your domain name separately from your hosting account then you need to point your domain to your hosting. Pointing your domain name means it remains registered with your chosen registrar but it is hosted via your hosting account, and it allows you to edit and build your blog via your hosting account with ease. And this is exactly our case! Please remember that the changes may take a few moments to take effect. Refresh the page a few time to see when it has an effect. Bravo! you are almost done! It’s time to make the ball rolling! Let’s set up a WordPress blog! WordPress is your best choice when it comes to running and managing your blog. It is an affordable, agile and easy to work with content management system which is very straightforward to get to grips with and allows you access to thousands of helpful plug-ins to optimise your blog for SEO purposes with ease. Installing WordPress is usually very straightforward too. 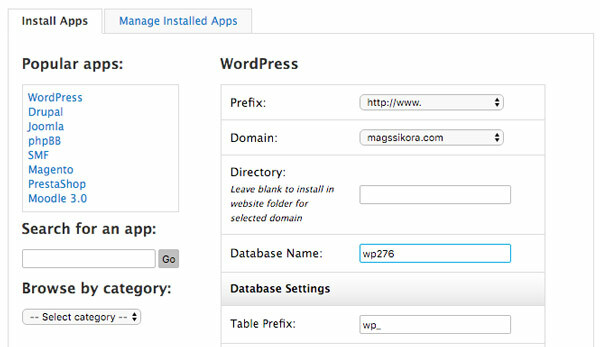 Some hosting providers recognise just how popular WordPress is and within your account console or dashboard area there may be an automatic way of installing it but where there isn’t manual installation is straightforward too. WordPress is the flexible framework on which your blog can be built and given its personality. Choose your prefix (I usually go for the “http://www.” option), leave the “directory” blank. Jump to site setting. Choose the name of then blog and descriptions (no worries, you can always change it) and in Admin Account section write your desirable login details. The remaining things you can omit, just in case, type your current email address so the login details to your brand new website will be forwarded to you. Then click “Install” and you will be redirected to the confirmation page. You are officially a blogger! The last but not least, let’s make it pretty! Every WordPress blog you have ever seen runs on a theme and in many instances this theme is a premade design which the blogger has found and either enjoyed for free or bought for use on their site. WordPress themes provide all the front-end styling for your blog and they can often be customised to incorporate your preferred elements such as headers, background colours and fonts. WordPress offers a range of free themes, many of which are very functional and can be customised with ease. There are also many paid themes out there from providers such as ThemeForest. If you want to keep things speedy then opt for a free theme for now and consider upgrading to a paid theme later as they often involve more customisation and you’ll go over the 15 minutes promised by this post! So here is how to choose a new free theme in your WordPress panel. You will be presented with the WordPress themes library managed by Automattic, the company behind WordPress. Simply click “Add new” on the top and browse themes by using different filtering options. When you find the one you really like, hover over and click “Install’. and voila! Your theme is ready! By going to theme settings you can simply upload your logo, change colours and fonts! Congratulations! You are officially a blogger! Now, your journey is about to start! If you have any questions or issues please leave a comment below.